Circuit Judge Wendell Griffen issued an order to halt the state’s plans to execute a defendant using one of three drugs needed for lethal injections. On the same day—which was a Friday—Griffen participated in a public protest against capital punishment, according to the Arkansas Democrat-Gazette. 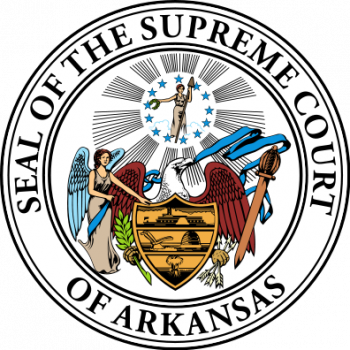 On the basis that the Arkansas Supreme Court did not give a state judge enough time to respond to a ruling that he be removed from all capital cases, ethical misconduct charges have been brought against six of the high court’s seven justices. The decision was announced Thursday by the Arkansas Judicial and Disability Commission, the Arkansas Times reports. On April 14, 2017, Circuit Judge Wendell Griffen issued an order to halt the state’s plans to execute a defendant using one of three drugs needed for lethal injections. On the same day—which was a Friday—Griffen participated in a public protest against capital punishment, according to the Arkansas Democrat-Gazette. The next day, Arkansas Attorney General Leslie Rutledge asked the state supreme court to vacate Griffen’s order and remove him from the case, arguing that he couldn’t be considered impartial regarding the death penalty. That afternoon, the supreme court clerk emailed Griffen’s office about Rutledge’s request, stating that Griffen had until 9 a.m. Monday to respond. He did not respond, according to the article. Just over 90 minutes after the deadline passed, the state supreme court took away Griffen’s authority to hear death penalty cases. Griffen filed the the complaint with the agency, according to the Democrat-Gazette. “It cannot be reasonably assumed that Judge Griffen would receive the email at his chambers address on a weekend. Judge Griffen could not have reasonably been expected to have effectuated a meaningful response to the state’s petition to remove him,” J. Brent Standridge, the commission’s special counsel, wrote in the formal charges, released Thursday. Chief Justice Dan Kemp, and Justices Robin Wynne, Courtney Goodson, Josephine “Jo” Hart, Karen Baker and Rhonda Wood were named in the charge. Justice Shawn Womack was not named, and according to Sachar, Griffen’s complaint against Womack is pending. If it’s found that the justices violated their judicial canons, sanctions could include admonishment, reprimand or removal from the bench. The commission’s findings traditionally are reviewed by the Arkansas Supreme Court. However, in this matter, the governor would need to appoint a panel of special justices for review. Earlier, Griffen filed a federal lawsuit against the justices regarding his disqualification, the Associated Press reports. A federal appellate court dismissed the case, and he plans to file an appeal with the U.S. Supreme Court, his attorney said.